Tania Allen is originally from Venezuela. She has degrees in Nursing, Information Technology, and Digital Engineering. She also received a certification from The Georgia Institute of Technology in Cybersecurity. She currently serves as CEO and President of ItGresa Consulting Group, Inc., an IT consulting company specializing in providing IT services in Cybersecurity, Web Development, Network design and Robotics. ItGresa became certified as MBE, WBE, WOSB, and DBE this year. The ItGresa team is able to conduct cybersecurity threat assessments; to design, build, optimize and configure systems and networks; and to create the best IT solutions for small to mid-size business. They also specialize in building a web and social media presence and can design Websites and Social Media campaigns, all with cybersecurity in mind. Their target market is to help the business owner who wants to focus on their business instead of IT, and allow them to conduct business online safely and securely. Since the main causes of security failures are often caused by the human element, ItGresa also focuses on education and awareness for the business owner and their employees. In the area of education, a particular passion for Ms. Allen and ItGresa is STEM education. Her company has run robotics courses for children from ages 5 to 15 for several years, and is now branching out into coding and computer assembly courses using Internet of Things. ItGresa gives back to the community by coaching, teaching and helping students and adults with STEM, Robotics, Cybersecurity, and Social Media awareness and education. 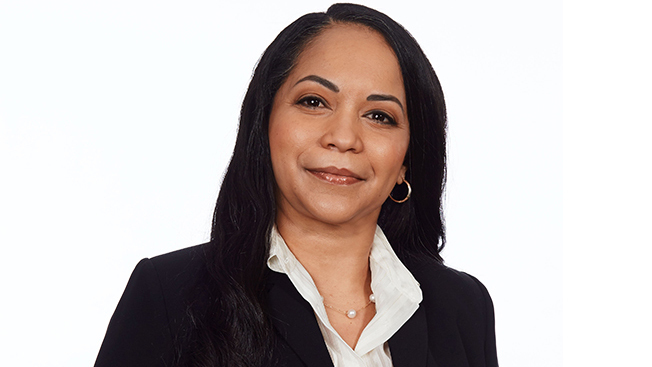 Ms. Allen has 10 years of experience with the State Oil Company of Venezuela (PDVSA). At PDVSA, she worked in a number of IT roles, including technology development, network administration, and as a project leader in Telecommunications. Her team was tasked with updating network infrastructure in PDVSA’s buildings in the capital and around the country. Ms. Allen has been involved in creating cutting edge technology and state of the art networks since 1989. Ms. Allen relocated to the US in 1999 to escape a repressive and dangerous government in Venezuela. She became a US Citizen in 2008. Ms. Allen is a serial entrepreneur, having been an entrepreneur in Venezuela, starting both a retail company in fashion and accessories, and an IT consulting company doing IT upgrades and voice, data, and network infrastructure. ItGresa is named after a Venezuelan expression: there, they call entrepreneuring “Matando Tigres” – hunting tigers. ItGresa was named after this concept: the combination of “IT” + “Tigresa” (a female tiger), creating the name “ItGresa”. Ms. Allen has a passion for helping entrepreneurs hunt their own tigers by providing them full IT support at a great price. Ms. Allen is fully bilingual in English and Spanish. She lives in Decatur and enjoys spending time with her husband and boys playing with robotics when she's not building her business or her client's businesses.